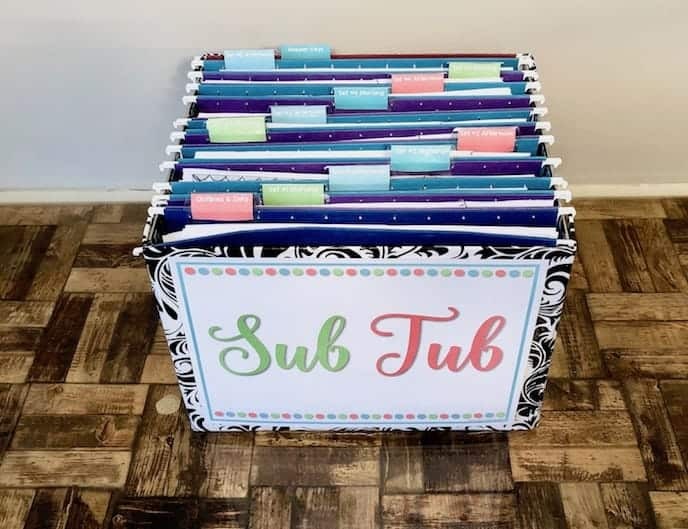 Christmas can be such a busy time of year, and sometimes it can be tricky to find time to do the “fun stuff” with your class along with everything else that needs to be done before the holiday break- and getting Christmas shopping done for your own family! 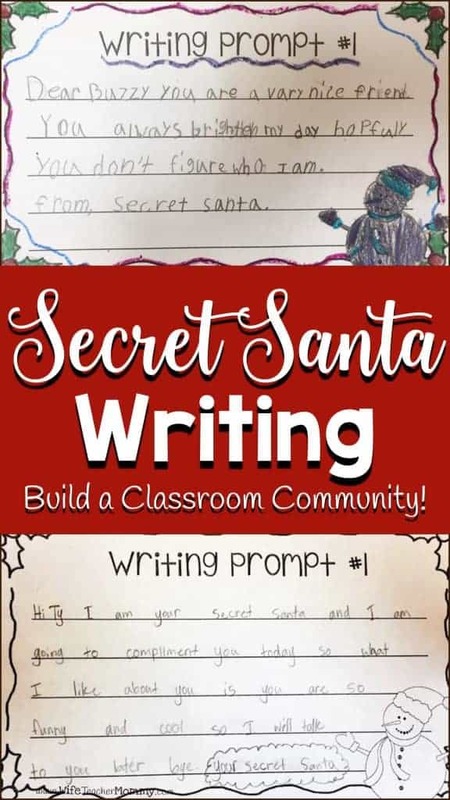 But, here is an idea that is pretty easy to integrate into any elementary classroom: Secret Santa Writer’s Workshop! Today, I volunteered at my friend Katelyn’s 4th grade class to do the intro lesson for my Secret Santa unit with her class, one of my FAVORITE activities I’ve ever created. 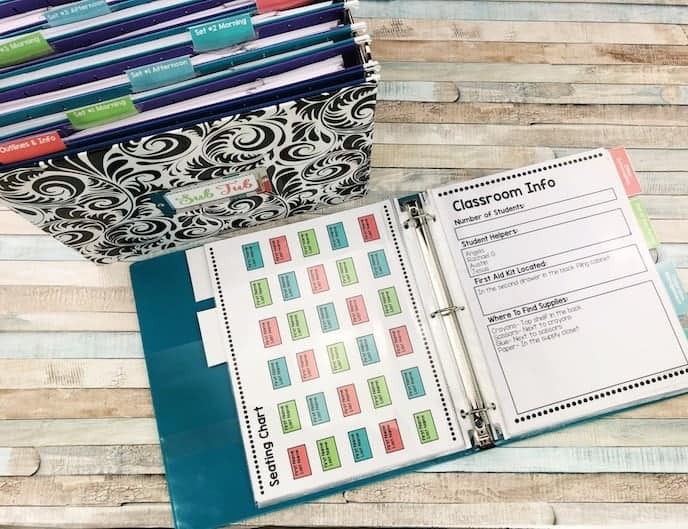 (By the way, she is also a fellow Busy Bees blogger and TpT’er Inspriation from Room 14!) I am so glad she let me come and “borrow” her class since I’m currently a stay at home mom. 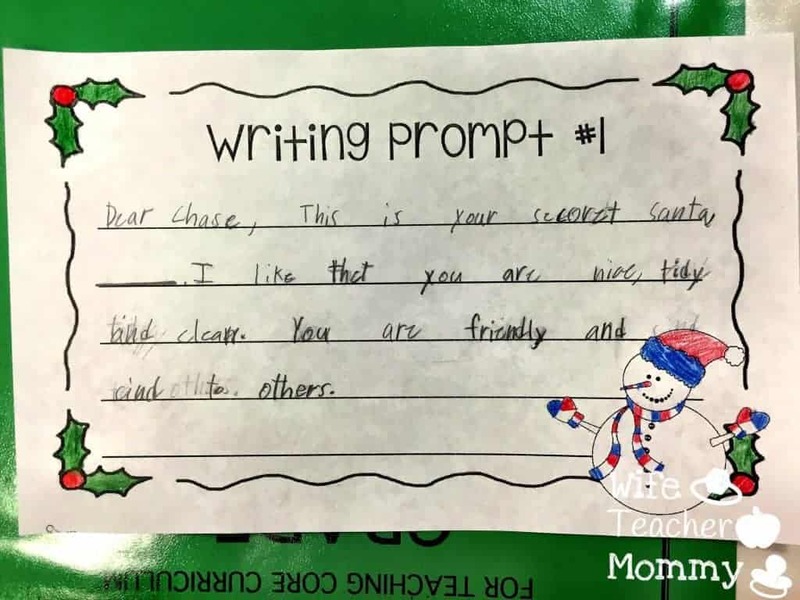 This unit isn’t only a fun way to integrate writing into the curriculum during Christmas time, but also as a unit to build classroom community- AND bring in Christmas cheer! 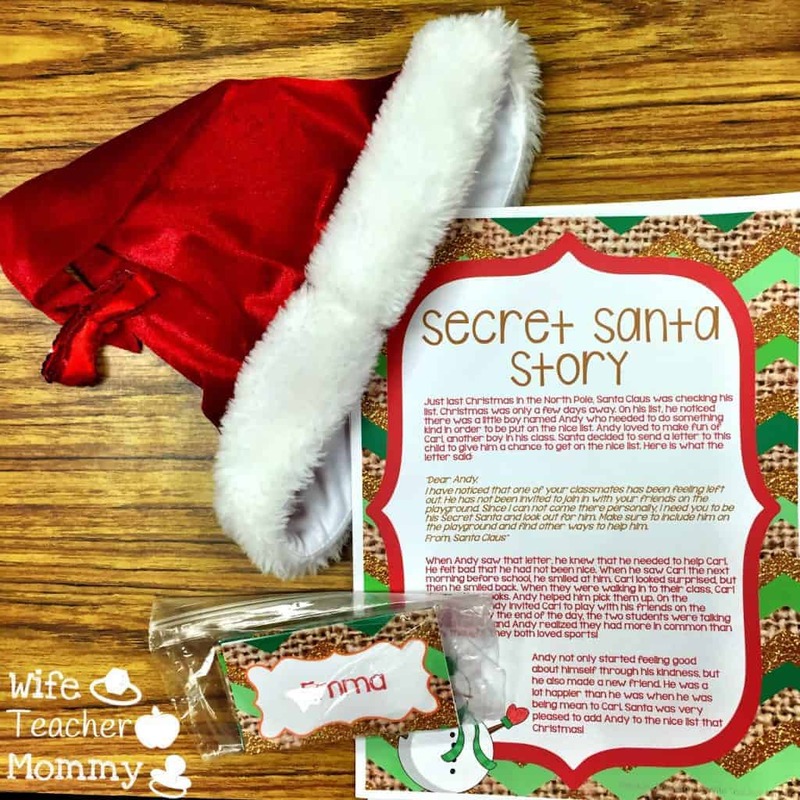 Students are assigned their own person to be a “Secret Santa” for and will write letters to them from writing prompts throughout the unit. They will also report things they have done to their teacher, in writing. For this intro lesson, I read the students a fictional story I wrote as I had students hold up the pictures to go along with it. The story is about child named Andy who was not being very kind to his classmate, Carl. 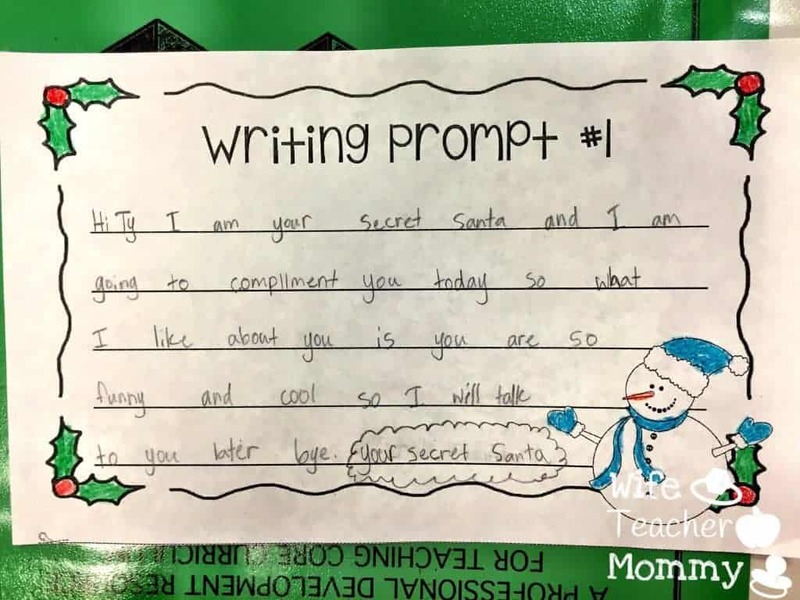 Santa had written him a letter telling him that since Santa couldn’t be there himself, he needed Andy to be his “Secret Santa” and look after him. Sure enough, Carl and Andy become best buddies and find out they even have some things in common! After reading the story, we had a classroom discussion about the things that Andy did to be nice. 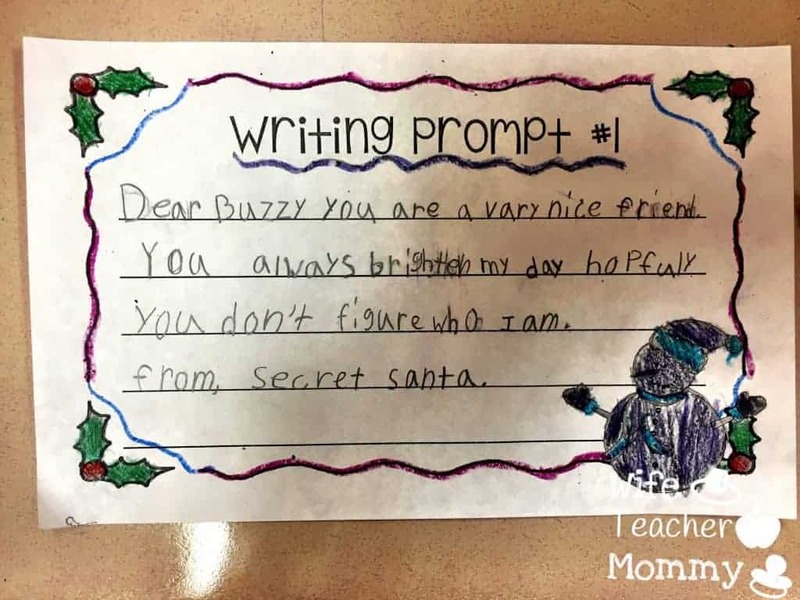 We discussed how we could apply this story into their own classroom, which led into introducing the “Secret Santa” unit. Also, don’t forget to sign up for my newsletter! 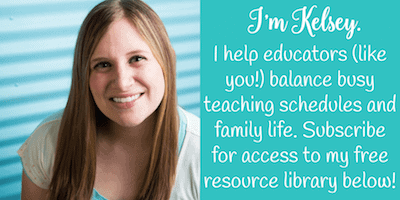 You will get access to my FREE resource library just for subscribing! You will also be notified when my blog hop post goes live next week- with a new freebie and giveaway for you all! Just fill out the form beneath this post. I hope you all have a very Merry Christmas and bring some fun festivities into your classrooms!